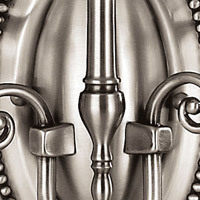 Q Does this come in a smaller size? 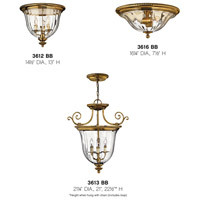 A The Hinkley Cambridge Flush Mount 3616bb only comes in one size. 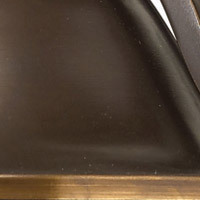 Q What is the size of the mounting plate? 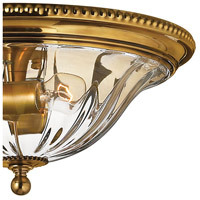 A The Hinkley Lighting Cambridge 2 Light Flush Mount 3616BB canopy is 16.25" in diameter. 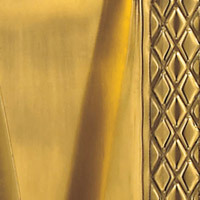 Q Does the burnished brass finish have any kind of coating on the metal? 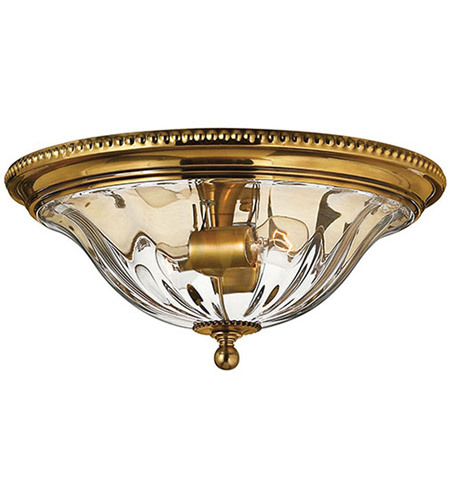 A Yes, the Hinkley Lighting Cambridge 2 Light Flush Mount 3616BB Burnished Brass finish does have a lacquer.